FieldTurf began selling their revolutionary product in 2005, however, independent records obtained by one news outlet indicate that executives at FieldTurf knew as early as 2006 that Duraspine turf was breaking down long before they promised it would. • FieldTurf is actually a division of French floor maker Tarkett, which has publically disavowed any claims that it has mislead buyers or defrauded them. The maker contends that any product integrity problems does not compromise athlete safety. • Several Duraspine turf installations that occurred in 2007 lasted only seven years, and had to be replaced in 2014. • The going price tag for most of FieldTurf’s products goes for between $300,000 to $500,000, or more. • FieldTurf has sold approximately 1,428 fields in the U.S. for an estimated $570 million from 2005 to 2012, when the product was discontinued. • Despite several complaints about the overblown sales pitches about the durability of the product, FieldTurf executives never changed their marketing tactics. • FieldTurf acknowledges that roughly one in five Duraspine fields installed in the U.S. has been replaced under warranty. 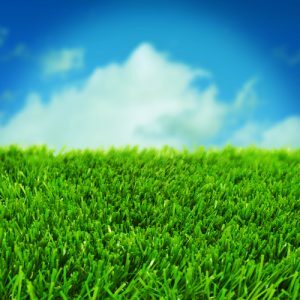 • A company spokesperson has said the majority of the defective fields have occurred in states such as Texas, Arizona, and California, where intense ultraviolet radiation causes the turf to break down after only a few years. • It wasn’t until 2009 and 2010 that the company conducted its own internal investigation, pinning the problem on a product supplier, according to a federal lawsuit. • FieldTurf alleged that TenCate changed the formula of its turf fiber to make it weaker and more prone to damage by ultraviolet radiation. TenCate denied FieldTurf’s allegations, and the two settled the suit out of court for an undisclosed amount in 2014. • One Oklahoma school district superintendent claimed it took three years to get their field replaced, and it only happened after threatening legal action. Several other school and stadiums followed suit. Some schools have had to cancel games due to concerns over declining turf conditions. What’s the Potential for Personal Injury from Duraspine Turf? Even though artificial turf has been shown to be nearly as safe as real grass, a new study has found that NFL players have suffered more ankle, knee, and turf toe injuries playing on FieldTurf fields in the past than other artificial turfs. New studies have also shown that anterior cruciate ligament (ACL) injuries occur at a higher rate on artificial turfs than real grass. It has also been found that knee and ankle sprains occur 22 percent more often on FieldTurf. Season-ending ACL sprains occur 67 percent more often on FieldTurf as well, the study published in the American Journal of Sports Medicine indicated. Did you or a family member experience a crucial injury from playing on an artificial turf fields? If so, a Phoenix personal injury lawyer at the Law Office of Richard Langerman is here litigate your case to recover compensation for your injuries. For more than 25 years, attorneys at the Law Offices of Richard Langerman have aggressively advocated for clients’ rights for their complete justice and financial recovery. Other areas of practice include motor vehicle accidents, defective products, insurance bad faith, and of course, personal injury. For a free, no obligations initial consultation to learn what legal services and options our Phoenix personal injury lawyer can provide you, call (602) 240-5525 or send an email using the contact form at the bottom of this page. Based in Phoenix, our attorneys provide exceptional legal services to clients throughout the state of Arizona. 1“Report: Company knew turf product was defective, sold it anyway” published in Associated Press, December 2016. 2“NFL leg injuries more common on FieldTurf than grass” published in Reuters, Sept. 2012.